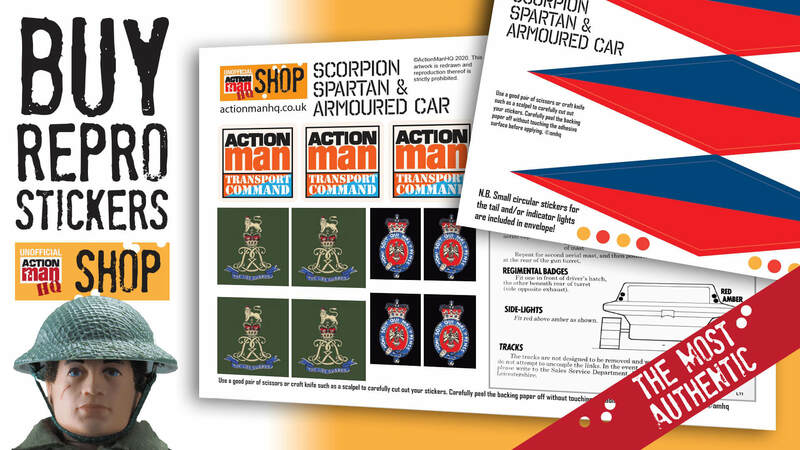 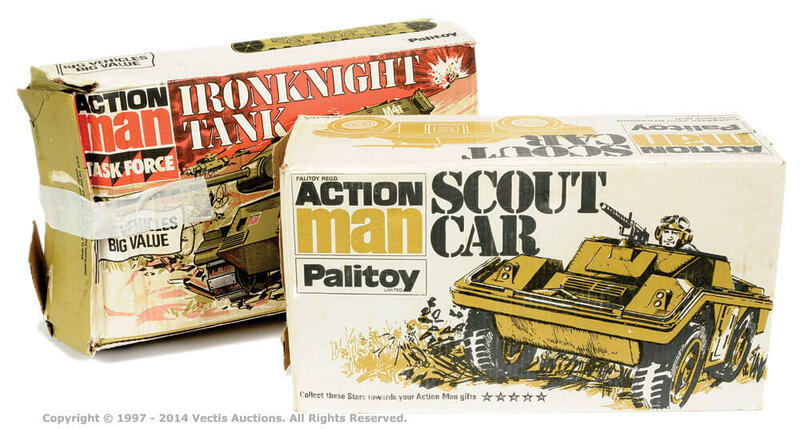 "New Scout Car - a new fighting vehicle for Action Man". 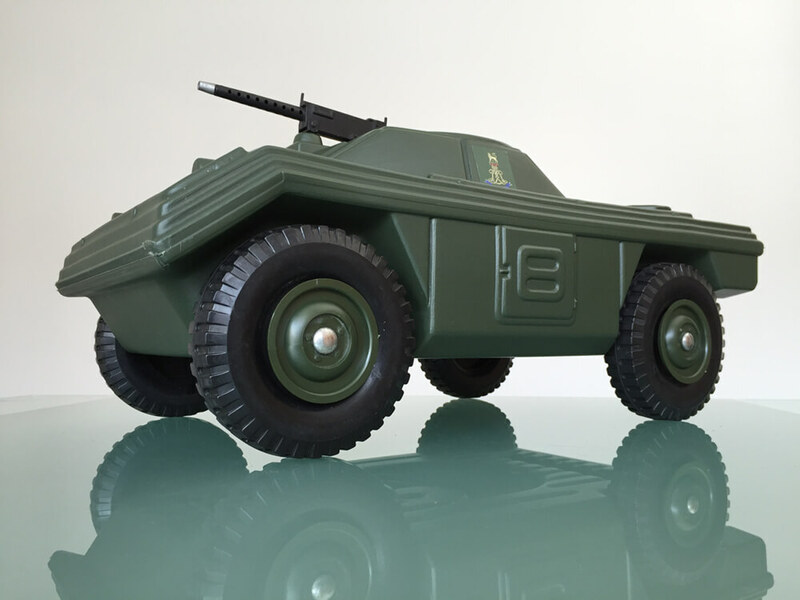 Smaller	than, and often confused with, the	preceding Armoured Car. 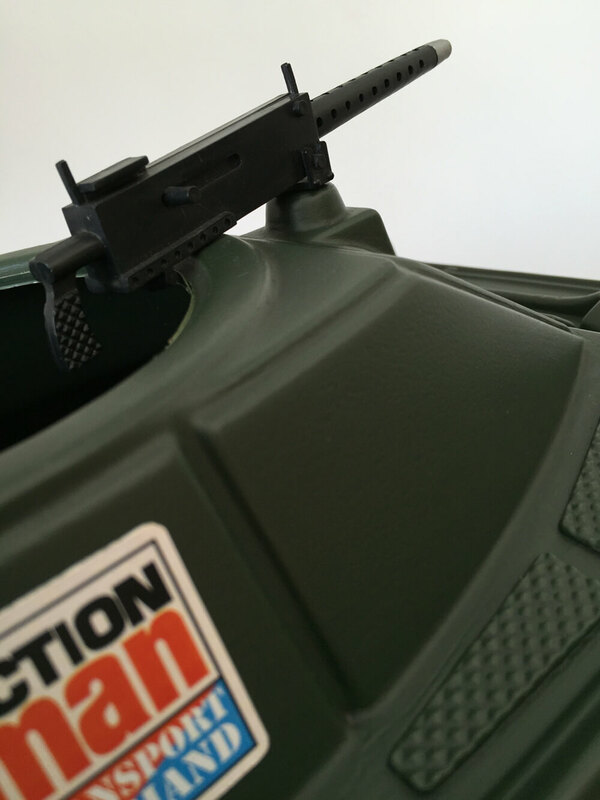 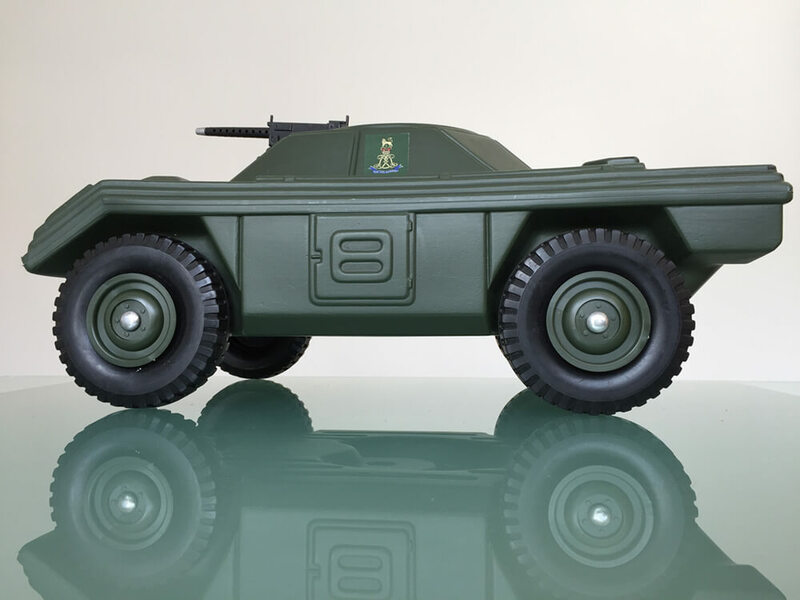 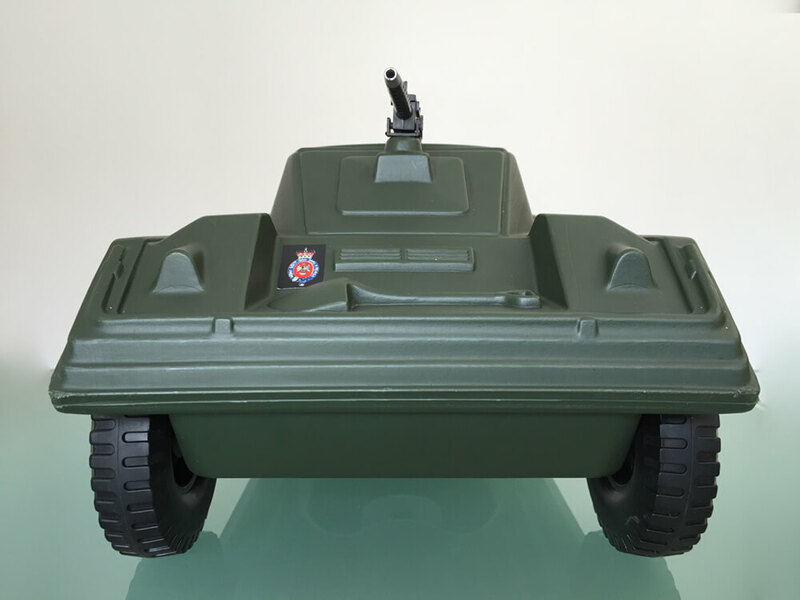 The Action Man Scout Car had a round turret opening, no spare wheel, and hard plastic type machine gun (see images). 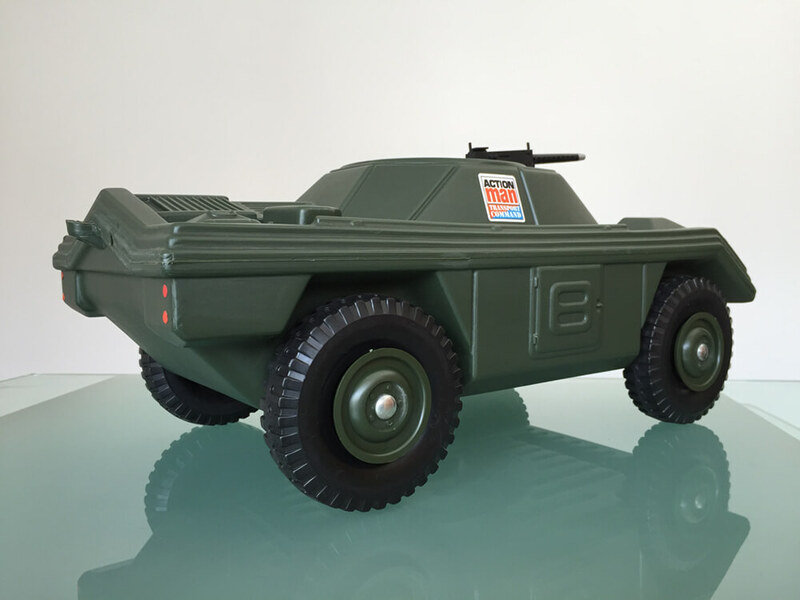 The Action Man Scout car, like the Action Man Armoured Car was very tough and took many knocks. 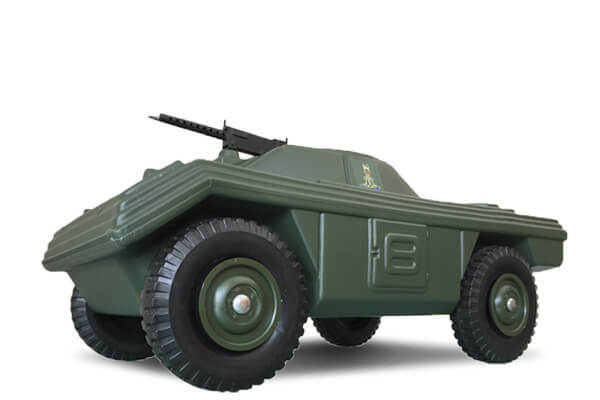 It looks based on the 'Fox' Scout Car of the British Army.